Established yet emergent, Tasman Tech is where people and their ideas flourish. New contemporary exteriors set the stage for redesigned interior spaces as individual as your company culture. Reimagined outdoor spaces offer a quiet place to collaborate or unwind. Together, a work environment that supports productivity and a healthy workforce. 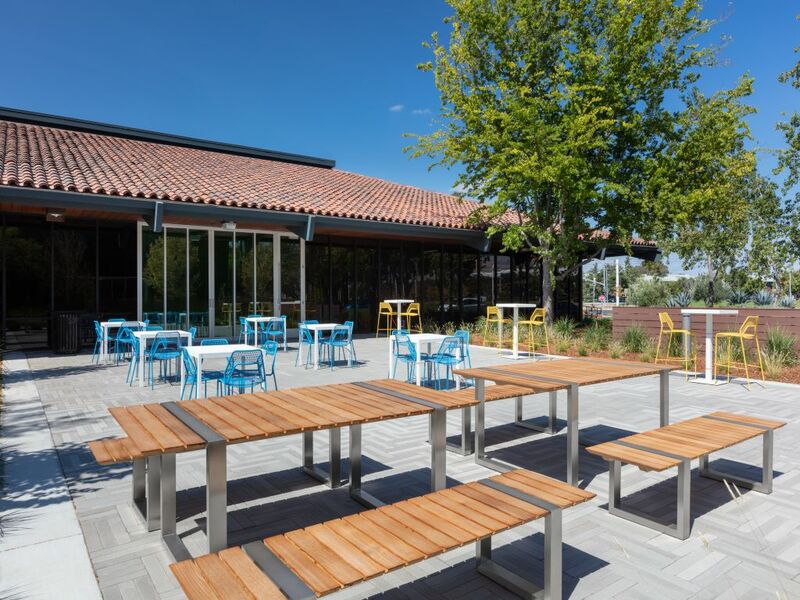 Orchard Partners delivers an office park that is commuter friendly, affordable, and the perfect setting for companies and their employees to thrive and grow. Milpitas is on the rise, and Tasman Tech is at the center of it all. Long an affordable option in Silicon Valley, the value proposition for Milpitas is improved with the 2017 completion of the Milpitas Tri-modal Station one mile east of Tasman Tech. BART can now deliver commuters to Milpitas, just two VTA stops from the front door to Tasman Tech. DO ALL OF THIS, IN ONE PLACE.